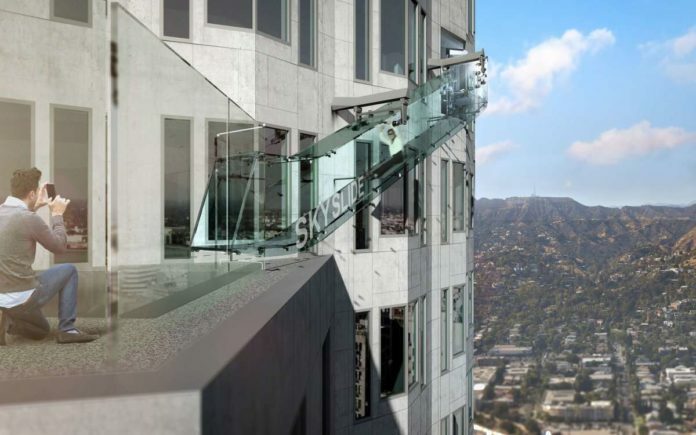 Would you dare slide down Skyslide, an outdoor glass slide, positioned 1,000 feet above downtown Los Angeles? 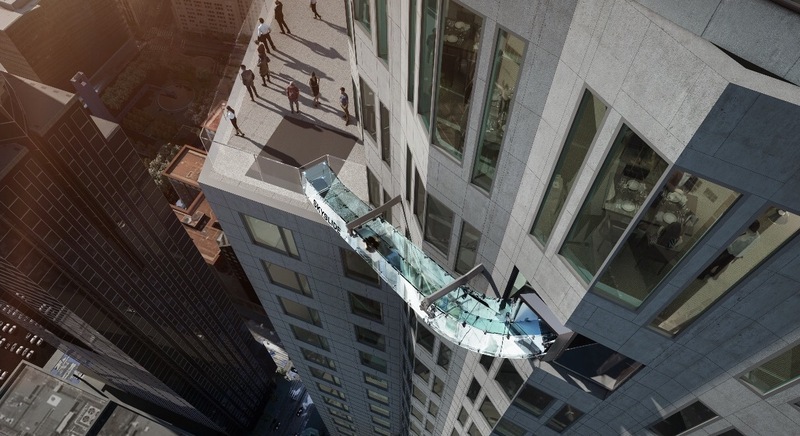 The Skyslide is forty-six feet long, 4 feet wide and made entirely with one and one quarter inches thick glass. Surely the best view over California must be from the city’s tallest open-air observation deck that spans four floors at the top of the US Bank building in downtown LA – Skyspace. 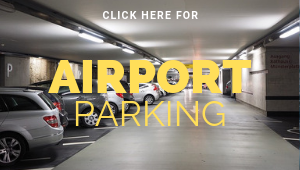 It stands 1,000 feet above Los Angeles with 2,800 square feet of outdoor space and as you stroll around you get a 360 degree view over the city. But perhaps that is too sedate for some and so for thrill seekers Skyspace are planning a Skyslide. This will be an outdoor glass slide that will be 46 feet long, 4 feet wide and made with one and a quarter inch thick glass. And yes, it will be 1,000 feet high and those brave enough will have unparalleled views over the city while gliding from 70th floor to the 69th floor of the US Bank Tower. Skyspace LA boasts a thrill experience unlike any other – Skyslide – an outdoor glass slide, positioned 1,000 feet above downtown Los Angeles. Tickets for the ride will cost $8.